This entry was posted in Movies/TV, Reviews and tagged Anthony Russo, anthony-mackie, avengers, Captain America, Captain America: Civil War, Captain America: The Winter Soldier, Chadwick Boseman, Chris Evans, Christopher Markus, Daniel Bruhl, Don Cheadle, Elizabeth Olsen, Emily VanCamp, Frank Grillo, iron man, Jeremy Renner, joe russo, marvel, movie review, Paul Bethany, paul-rudd, Robert Downy Jr., Scarlett Johansson, Sebastian Stan, Stephen McFeely, Tom Holland, Willian Hurt on May 9, 2016 by Eugene. 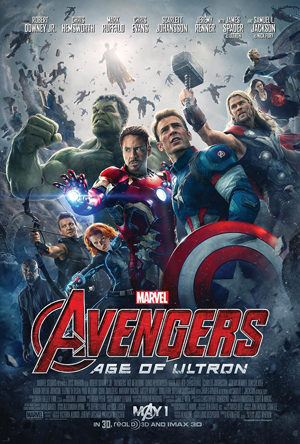 Review: Avengers: Age of Ultron – The Summer Has Assembled! Avengers: Age of Ultron is about our favorite superhero team venturing out on another mission to save the world, in this case, it’s a mechanized creation that that’s highly intelligent, highly resourceful, and highly charismatic. 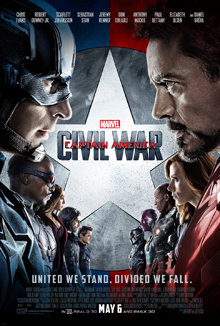 The film is written and directed by the great Joss Wheadon, and stars an all-star cast; Robert Downey Jr., Chris Hemsworth, Mark Ruffalo, Chris Evans, Scarlett Johansson, Jeremy Renner, Don Cheadle, Aaron Taylor-Johnson, Elizabeth Olsen, Paul Bettany, Cobie Smulders, Anthony Mackie, Hayley Atwell, Idris Elba, Stellan Skarsgård, James Spader, and Samuel L. Jackson. It opened at $187.7 million this weekend. 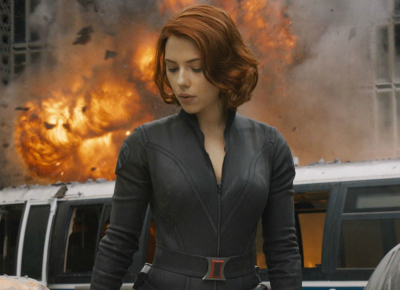 This entry was posted in Comics, Movies/TV, Reviews and tagged Age of Ultron, avengers, avengers 2, avengers assemble, avengers movie review, avengers: age of ultron, avengers: age of ultron movie review, black widow, Captain America, Chris Evans, Hawkeye, hulk, iron man, James Spader, Jeremy Renner, Joss Wheadon, Mark Ruffalo, marvel, Marvel Comics, nick fury, Paul Bettany, peggy carter, quicksilver, Robert Downey Jr., scarlet witch, Scarlett Johansson, summer movies, superheroes, the hulk, Thor, ultron, vision, war machine on May 4, 2015 by Eugene. Avengers Trailer 2 is Out! Avengers assemble! Looks like we got a new teaser with more Hulk action! Take a look below for the latest trailer. This entry was posted in Comics, Movies/TV and tagged avengers, black widow, Captain America, Chris Evans, chris hemsworth, Hawkeye, Incredible Hulk, iron man, Jeremy Renner, Joss Whedon, Mark Ruffalo, marvel, Robert Downey Jr., samuel l. jackson, Scarlett Johansson, Thor on February 29, 2012 by David W.